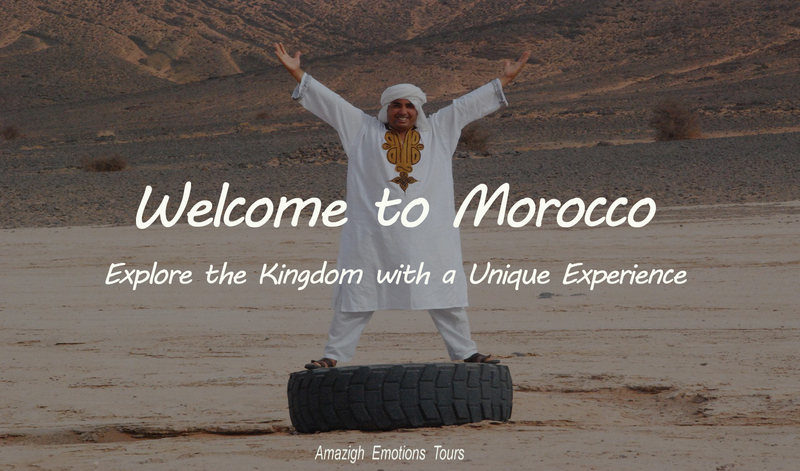 Day 1: Marrakech - Ouarzazate - Boumalne Dades (340 km): Departure to the Dades Gorge via Ouarzazate (The African Hollywood) through the High Atlas via Tichka (2260). Visit the famous Kasbah Ait Ben Haddou where they filmed many movies and declared by UNESCO as World Heritage (lunch). 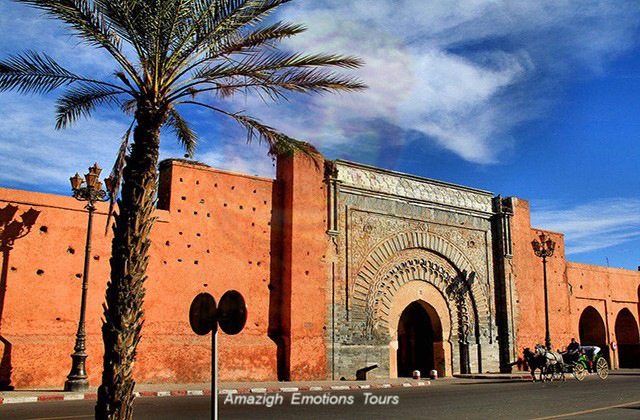 Afternoon, a photo stop at the center of the film and the Taourirt Kasbah (Old Ouarzazate). 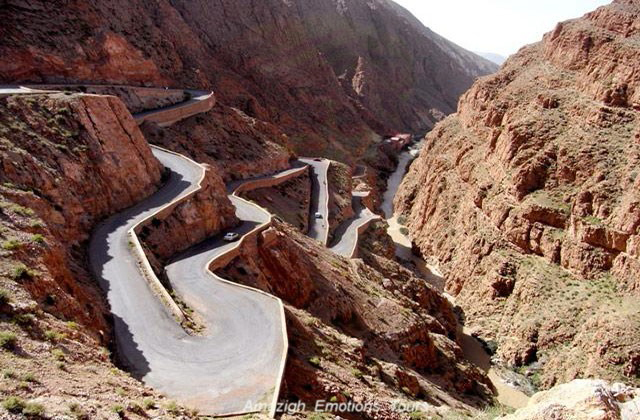 Then continue by road of a thousand kasbah by the valley of roses Kalaat M'gouna to reach the valley and Dades gorges. Night in a Kasbah Hotel. Day 2: Boumalne Dades - Tinghir - Erfoud - Merzouga (320 km): In the morning, after breakfast, we head to the Sahara desert by the road of thousand kasbah. 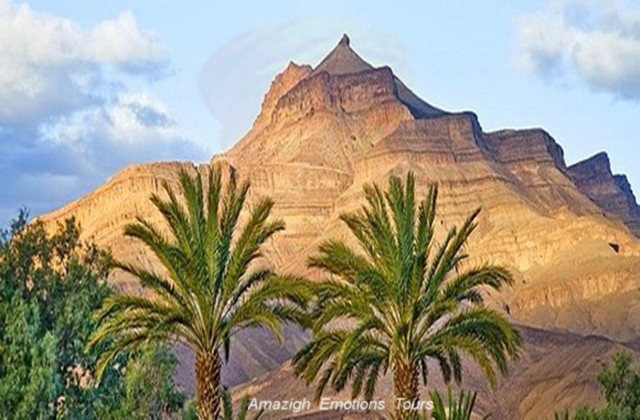 Visit the impressiveTodra and Gorges Valley, the fouggaras (ancient irrigation system) in Jorf, the factory of marble and fossils of Erfoud. 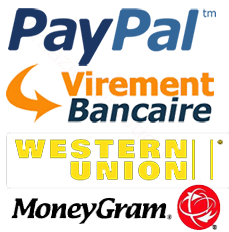 Lunch will be on the road, then visit the mausoleum of Moulay Ali Cherif and Ksar el Abd Halim in Rissani city. Arrival at the foot of the Merzouga dunes before leaving caravans to sleep a peaceful night in the desert with camels under the nomad tents, where in a Hostel. Day 3: Merzouga - Alnif - Agdz - Ouarzazate - Marrakech (560 km): After watching the sunrise, you return of the bivouac to taking your breakfast on the Hotel. 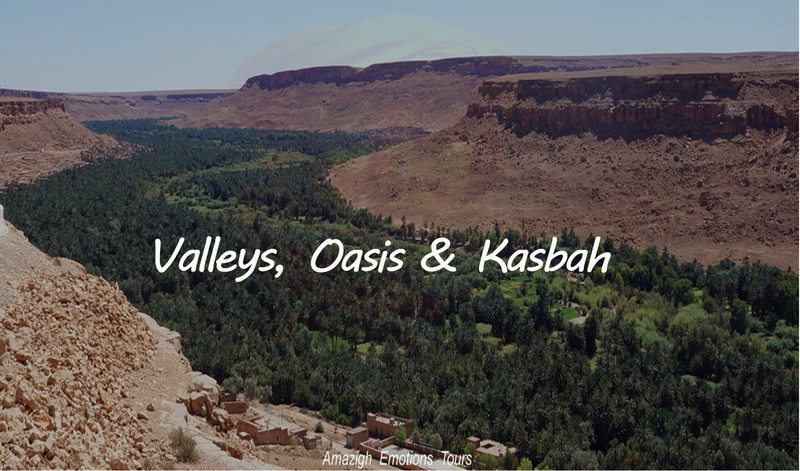 We head Marrakech via a desert route via Alnif Tazarine, Nekoub to reaching the famous Draa valley where you'll have the break lunch in a local restaurant in Agdz. After we'll continue driving through the Anti-Atlas via Tizi n'Tinififft (1660m) to arriving in Ouarzazate, then on to Marrakech in the late evening and end of our circuit. 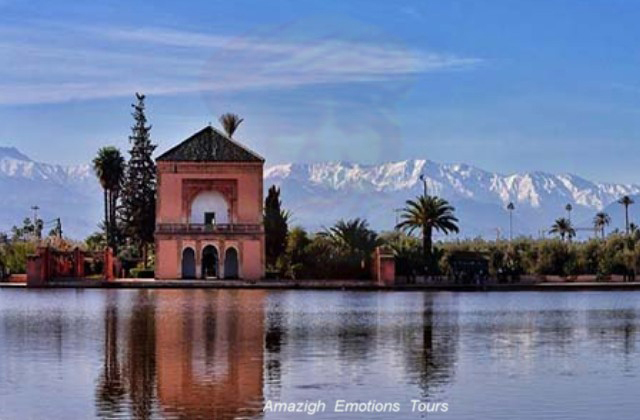 Day 1: Marrakech - Ouarzazate - Zagora (365 km): Departure at 08 am to Zagora crossing the High Atlas by the Tichka (2260m). 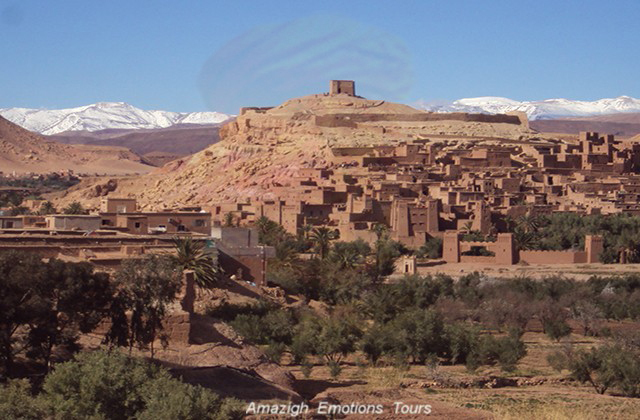 Visit the famous Kasbah of Ait Ben Haddou declared by UNESCO as World Heritage and lunch. After a photo stop at the cinema center and Kasbah Taourirt in Ouarzazate. 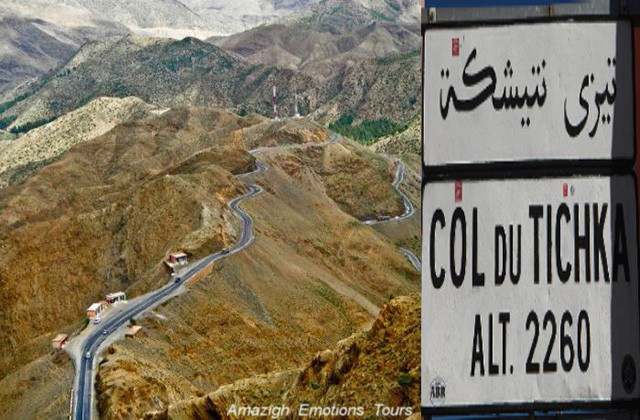 Then we cross the Anti-Atlas by Tizi n'Tinififft (1660m) and the fortified village of Agdz (resting place). 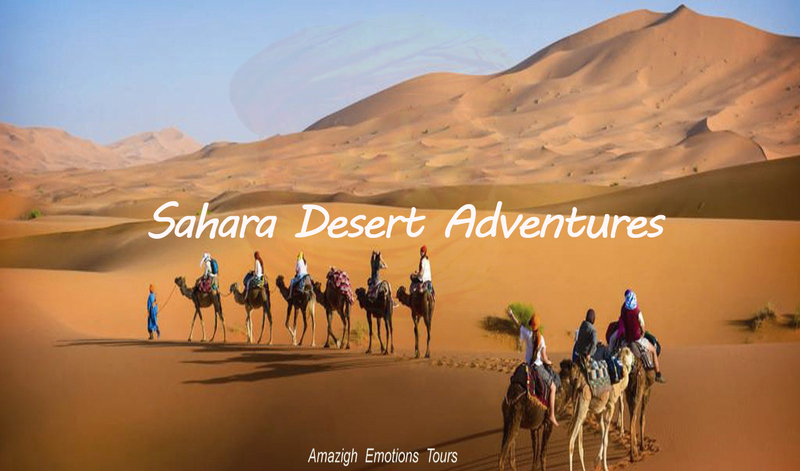 A follow after throughout the fascinating Draa Valley with its large oasis and pre-Saharan ksour. 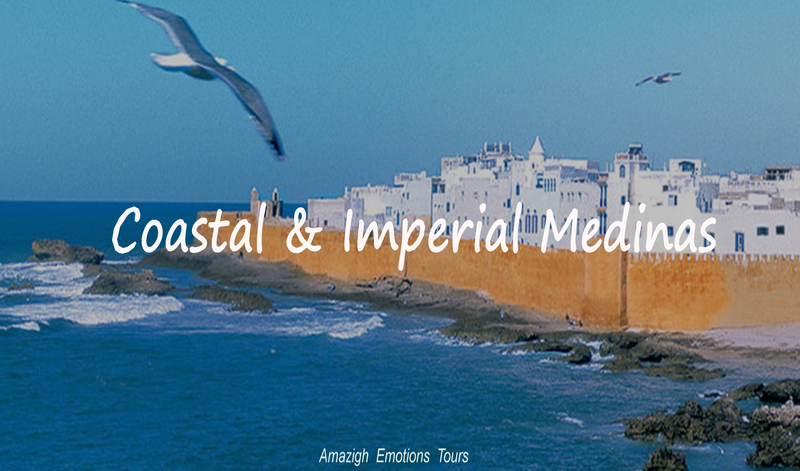 Arrival in Zagora (departures old caravans "Timbuktu 52 days" night at the Riad Kasbah or in a bivouac in the desert. 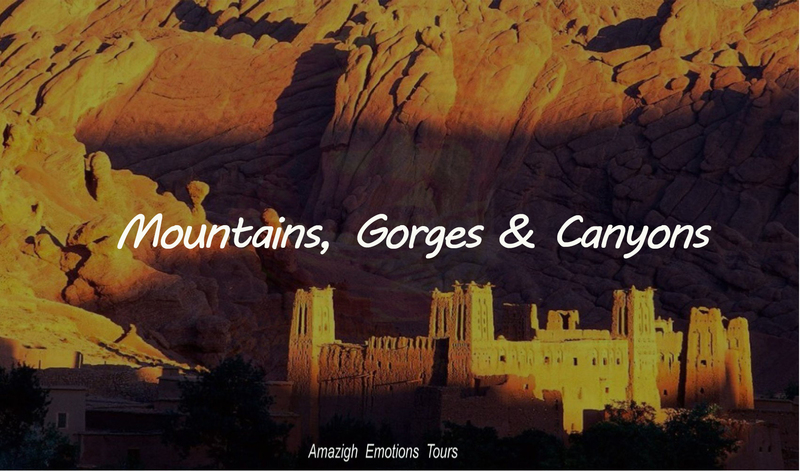 Day 2: Zagora - M'hamid - Erg Chegaga (90 km road + 50 km track): After breakfast, we will visit the medieval library of Tamegroute with its local pottery, the dune Tinfou and continue along the Draa Valley (the largest river in Morocco), and to reach M'hamid oasis Chegaga dunes. A walk on foot where with camels is recommended to watch the sunset enjoying a panoramic view where the horizon is infinite ... Night in a camp in the local desert in nomad tents and stars shooting ...! Day 3: Erg Chegaga - Ouarzazate - Marrakech (70 km track + 345 km road): On the morning after attending the sunrise and breakfast, we continue to cross the desert and arid wilderness by its largest lake Iriki (30 km), then the black desert of volcanic rocks and fossilized rocks to reach Foum Zguid. After continuing our journey with small oases and Berber villages to reach the city of Tazenakht and lunch break. 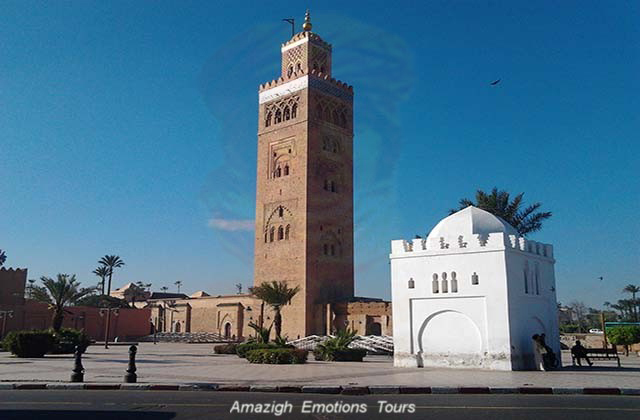 Then, north of Ouarzazate through the village of Amerzgane, Ighrem and the Tichka pass to arrive at Marrakech in the late evening and end of our services. Day 1: Marrakech - Ouarzazate - Boumalne Dades (340 km): Early departure to the Dades Gorge crossing the High Atlas by the Tichka pass (2260m). 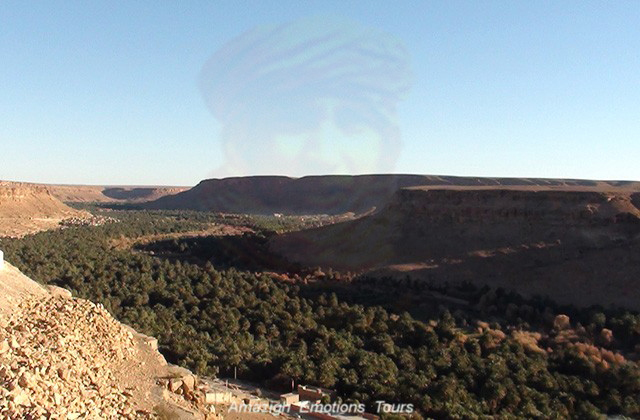 Visit the famous Kasbah of Ait Ben Haddou declared by Unesco as World Heritage and break lunch. 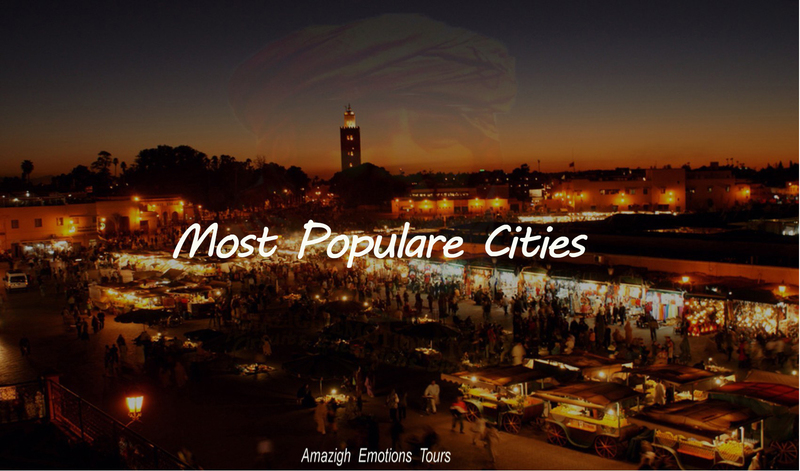 Afternoon, we will visit the center of film and Kasbah Taourirt in Ouarzazate. Then, on the road of a thousand kasbah, we continue through the valley of roses to Kalaat M'gouna arriving in the Dades Valley. Overnight at Kasbah Hotel. Day 2: Boumalne Dades - Tinghir - Erfoud - Merzouga (320 km): At 09 h in the morning, we go to the desert of Erg Chebbi by visiting the valley with the Todra, the old irrigation systems (the fouggaras) in Jorf and workshop marble and fossils in Erfoud. 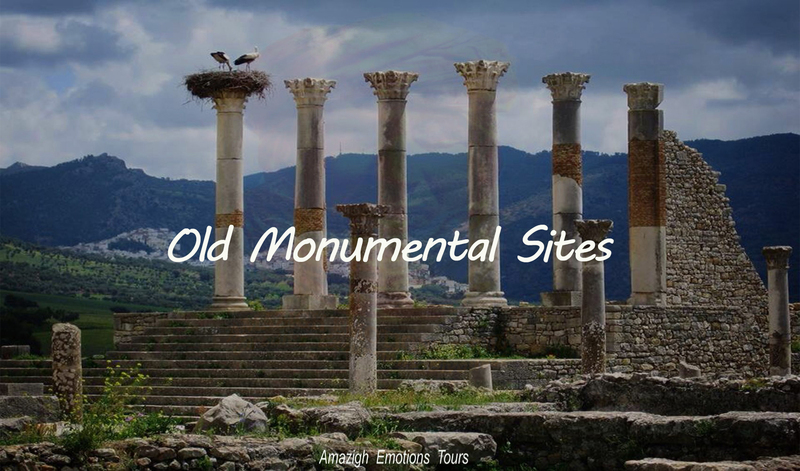 The lunch break will be at the road, then visit the Mausoleum of Moulay Ali Cherif (The alawite dynasty founder) and ksar Abdel Halim. 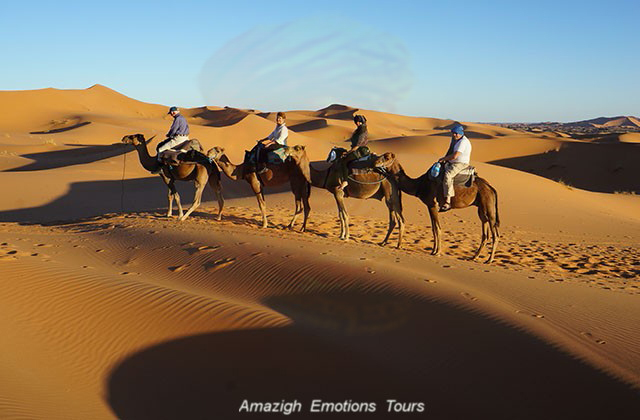 After we get to Merzouga dunes feet before the departure of your caravan with camels to spend an unforgettable night in the desert camp under a nomadic Berber tents. 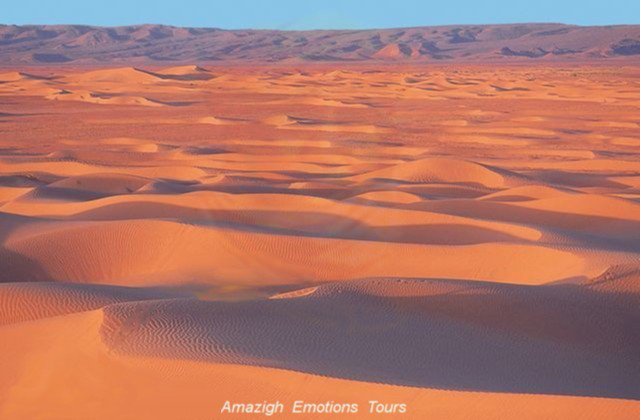 Day 3: Merzouga - Erfoud - Midelt - Fez (460 km): After attending the sunrise, you'll return by camel rides to the point of departure for taking the shower and breakfast. 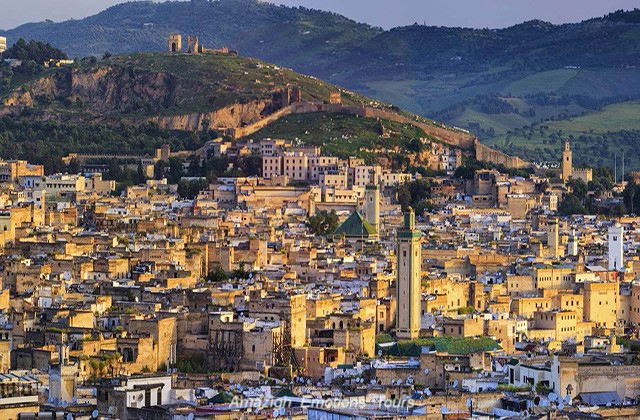 We'll head to the north along the impressive Ziz valley that brings life in the south, then the Midelt city (capital of apples), the Azrou city (The ceder forest and monkeys) and Ifrane (The Moroccan Switzerland) to reaching Fez late evening and end of our adventure.